Arsenal have yet to make an offer for Inter winger Ivan Perisic, according to Nerazzurri general manager Beppe Marotta. As noted by Sky Sports, the 29-year-old has reportedly handed in a transfer request amid interest from the Gunners, who are said to be offering a loan deal with a £34.5m option to buy. However, it’s added that Inter want a permanent move, and so it appears as though that will be a major obstacle to overcome. With the transfer deadline edging ever closer, the two clubs will surely have to push on with talks, but Marotta has suggested that they are yet to even receive an offer for the Croatian international. With that in mind, it remains to be seen whether or not Arsenal have left it too late or not, but it would seem like Perisic could be set for a difficult few months if he doesn’t seal an exit from the San Siro this week. 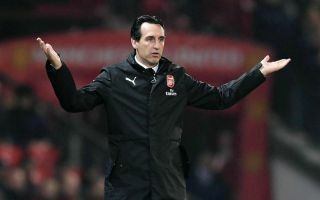 The stalwart would arguably be a sensible addition for Unai Emery, as he offers pace, movement and an eye for goal while his work ethic and defensive qualities would also benefit a side leaking too many goals this season. However, he does turn 30 next week and his tallies are down, as he’s managed just three goals and five assists in 25 appearances so far this season. With that in mind, there is an argument to suggest that Arsenal should perhaps look elsewhere if they are so keen to bolster the squad before the deadline, but as per Marotta, perhaps they haven’t advanced their interest quite as much as speculated.